Hope everyone's weekend was wonderful. 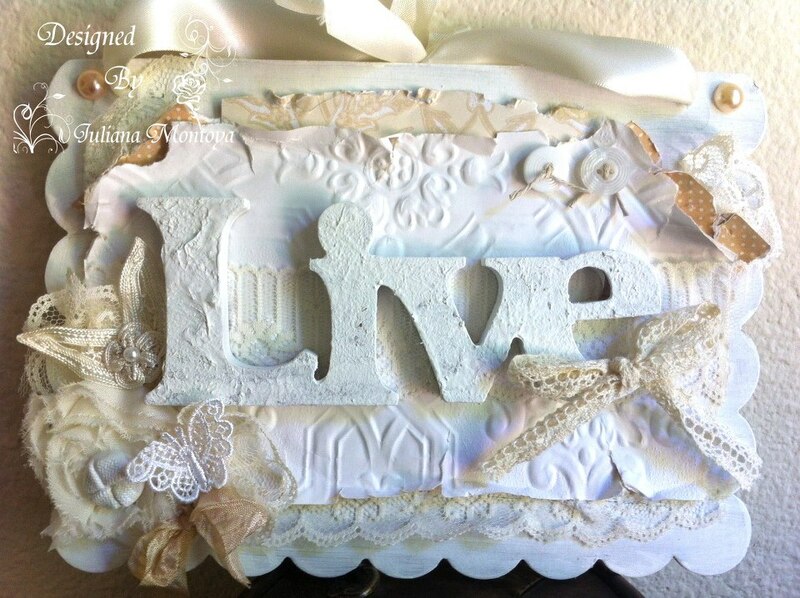 I wanted to share with you this beautiful Shabby Chic Sign that Juliana made as a gift to one of scrappy friends. 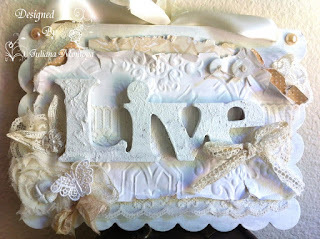 She uses beautiful items from the shop as well as a a piece of wallpaper that she found at an antique store. I love all the layering that she did and how she stays true to her style. Her work always turns out so beautiful.